Anne Enright is a dazzling writer of international stature and one of Ireland's most singular voices. Now she delivers The Gathering, a moving, evocative portrait of a large Irish family and a shot of fresh blood into the Irish literary tradition, combining the lyricism of the old with the shock of the new. The nine surviving children of the Hegarty clan are gathering in Dublin for the wake of their wayward brother, Liam, drowned in the sea. His sister, Veronica, collects the body and keeps the dead man company, guarding the secret she shares with him-something that happened in their grandmother's house in the winter of 1968. As Enright traces the line of betrayal and redemption through three generations her distinctive intelligence twists the world a fraction and gives it back to us in a new and unforgettable light. 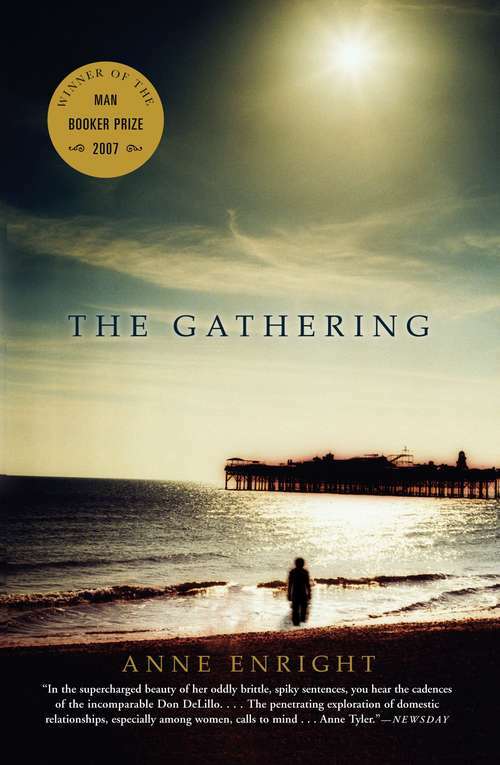 The Gathering is a daring, witty, and insightful family epic, clarified through Anne Enright's unblinking eye. It is a novel about love and disappointment, about how memories warp and secrets fester, and how fate is written in the body, not in the stars.